Security systems designed for both residential and commercial premises. U.L.C certificate burglar alarms systems are hard-wired for greater reliability as opposed to wireless security systems. They are professionally installed to protect your premises while allowing for pets. Commercial security systems are designed to keep track of employee comings and goings, etc. All of our systems come with a 2-year parts and labour warranty. Vigilarm is one of the select few full service alarm monitoring stations left in Canada. For stations to be U.L.C. listed they must be built and maintained following strict guidelines implemented by Underwriters Laboratories of Canada. U.L.C. inspects the stations and certified installations on a yearly basis. We must deliver top quality alarm monitoring and security system installations to retain our listing. If you are the type of person that goes away frequently or has rural property, flood and low temperature sensors are a must for your peace of mind. Carbon monoxide detectors are now law as of November 1, 1998 in Metropolitan Toronto. Reports generated from our station that can show you alarm activity at your house or business. Also, we have open/close reports to show employee comings and goings from your business. Access control systems not only keep track of employee comings and goings, but can also have time schedules for each employee that restrict hours of access to your business. Devices do everything from turn lights on/off to starting furnace in winter. All of this is done automatically or manually through a touch-tone phone. Full range of camera/monitoring equipment (both black & white or colour). VCR's and multiplexors to take more than one camera are available. Systems designed with microphones placed inside your premises so that on alarm trip only we are able to 'listen-in' to hear if a break-in is occurring. Addition of speakers to allow two-way communication between you and our monitoring staff is also possible. Vigilarm Ltd. offers the technology to provide secure transmission internet monitoring as well as real time video monitoring. Installation and monitoring of critical function failure; sump pumps, industrial process machinery etc. Installation and monitoring of commercial systems as well as add-ons to monitored burglary systems in homes. We are the official Dealer for Carephone. This is a service dedicated to providing you, or someone you care for, instant access to help should the need arise. It consists of a base unit installed in your home, and a button worn around your neck or on your wrist. When you press this button from any location in your home (within 70 metres of base unit) you automatically reach our monitoring station where your information appears on computer and we may talk directly to you. Help is available 24 hours per day, 365 days a year. Over the course of the last quarter century, we have been a trusted partner, and a dependable interface between many alarm installation companies and their clients. 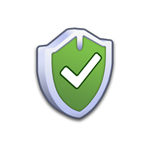 We have everything that is required to monitor your clients' systems. As they say, "We have the technology".